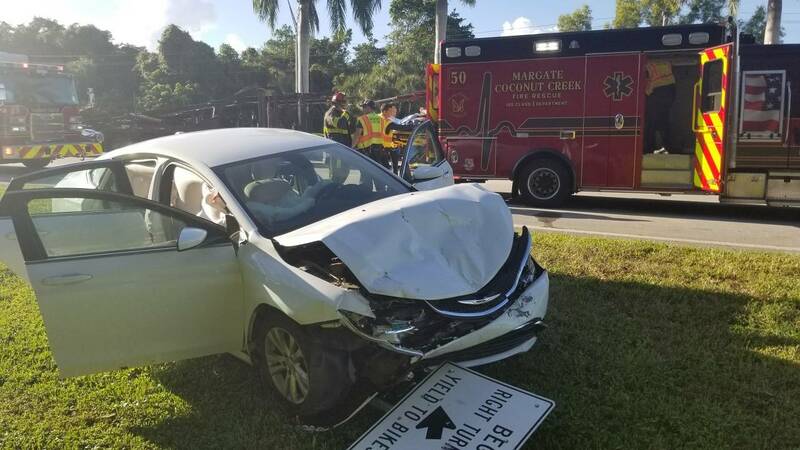 COCONUT CREEK, Fla. - Three people were injured Wednesday morning in a car crash in Coconut Creek, authorities said. The crash was reported in the westbound lanes of Sample Road near 40th Avenue. Margate-Coconut Creek Fire Department officials said two vehicles were involved in the crash, and both sustained moderate damage. Authorities said bystanders helped two people get out of one vehicle, while the driver of the second vehicle was unable to get out on their own. Authorities transported all three to nearby hospitals for further evaluation. Only one westbound lane on Sample Road was open while the crash was being investigated.